In many predictive tasks where human intelligence is needed to label training instances, online crowdsourcing markets have emerged as promising platforms for large-scale, cost-effective labeling. However, these platforms also introduce challenges that must be addressed for these opportunities to materialize. In particular, it has been shown that different trade-offs between payment offered to labelers and the quality of labeling arise at different times, possibly as a result of different market conditions and even the nature of the tasks themselves. Because the underlying mechanism giving rise to different trade-offs is not well understood, for any given labeling task and at any given time, it is not known which labeling payments to offer in the market so as to produce accurate models cost-effectively. Effective and robust methods for dealing with these challenges are essential to enable a growing reliance on these promising and increasingly popular labor markets for large-scale labeling. In this talk I will first present a new data science problem, Adaptive Labeling Payment (ALP): how to learn and sequentially adapt the payment offered to crowd labelers before they undertake a labeling task, so as to produce a given (machine learning) predictive model performance cost-effectively. I will then present our approach to address the problem and a rich set of results that demonstrate its performance under a variety of market settings. We also show that the method is highly versatile and can acquire more labels of lower quality (and cost) under some market conditions, while pursuing fewer and higher quality labels in other settings. Overall, our method yields significant cost savings and robust performance; as such, it can be used as a benchmark for future mechanisms to determine cost-effective payments. Maytal Saar-Tsechansky is an Associate Professor of Information, Risk and Operations Management at the McCombs School of Business, The University of Texas at Austin, and a co-founder of Sweetch — a mobile health startup firm. Her research focuses on developing machine learning (ML) and artificial intelligence (AI) methods to improve decision-making and to benefit people, organizations, and society. Most of her work aims to augment ML & AI by bringing to bear the problems that machine learning and AI inform in practice and the context in which learning itself occurs, with the goal of effectively dealing with the constraints and taking advantage of the opportunities presented in these environments. Her research integrates business, machine learning and artificial intelligence, and she has addressed challenges in different domains, including health care, smart electricity grid, fraud detection, finance, and emerging forms of work, such as online labor markets. Maytal received her Ph.D. from New York University’s Stern School of Business. Her research has been published in the Journal of Finance, Management Science, Information Systems Research, Journal of Machine Learning Research, and Machine Learning Journal, among other venues. Maytal’s research has been supported by both government and industry, including the National Science Foundation, SAP, and the Israeli Science Ministry. 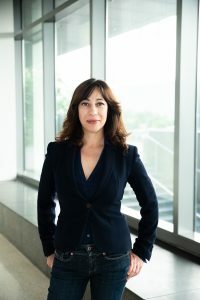 In recent years she has served on the editorial boards of the Machine Learning Journal, the Information Systems Research (ISR) journal, the INFORMS Journal on Computing, Decision Sciences, and she is a frequent Program Committee member in the premier machine learning, data mining, artificial intelligence, and Information Systems conferences. At McCombs, Maytal has developed and taught popular applied machine learning and data mining courses tailored to business students. From an upset stomach to a life-threatening foodborne illness, getting sick is all too common after eating in restaurants. While health inspection programs are designed to protect consumers, such inspections typically occur at wide intervals of time, allowing restaurant hygiene to remain unmonitored in the interim periods. Information provided in online reviews may be effectively used in these interim periods to gauge restaurant hygiene. In this paper, we provide evidence for how information from online reviews of restaurants can be effectively used to identify cases of hygiene violations in restaurants, even after the restaurant has been inspected and certified. We use data from restaurant hygiene inspections in New York City from the launch of an inspection program from 2010 to 2016, and combine this data with online reviews for the same set of restaurants. Using supervised machine learning techniques, we then create a hygiene dictionary specifically crafted to identify hygiene-related concerns, and use it to identify systematic instances of moral hazard, wherein restaurants with positive hygiene inspection scores are seen to regress in their hygiene maintenance within 90 days of receiving the inspection scores. To the extent that social media provides some visibility into the hygiene practices of restaurants, we argue that the effects of information asymmetry that lead to moral hazard may be partially mitigated in this context. Based on our work, we also provide strategies for how cities and policy-makers may design effective restaurant inspection programs, through a combination of traditional inspections and the appropriate use of social media.